Saloniture has its expertise in the salon business and mainly targets hair stylists, barbers and tattoo artists. The company started as a two-person team and later expanded to almost fifty employees in less than a decade. 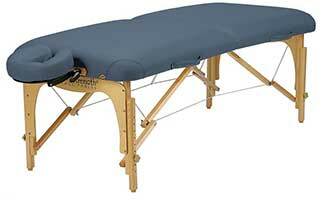 It manufactures a wide variety of salon furniture, including stools, chairs, massage tables and trolleys. Saloniture aims to offer its clients commercial-grade equipment at reasonable prices. 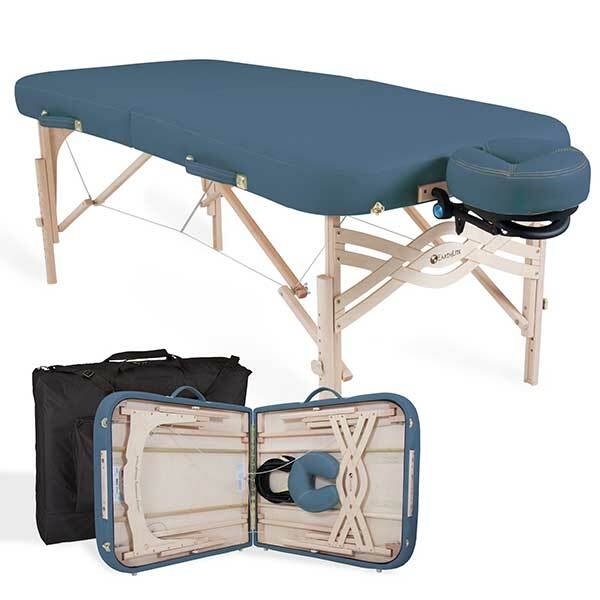 We’ll see how the Saloniture Professional Portable Folding Massage Table fares in this review. This folding message table doesn’t specify its frame construction and instead says sturdy hardwood frame in its product description. It is probably made of birch or beech hardwood like most tables are. The steel support cables are the same quality as the ones found in car brakes. The added stability provided by the cables allows the table to hold up to 550 pounds of weight. In addition, it has a 2-inch thick high-density foam covered in oil and water resistant PU leather. The included face pillow has 3 inches of foam. 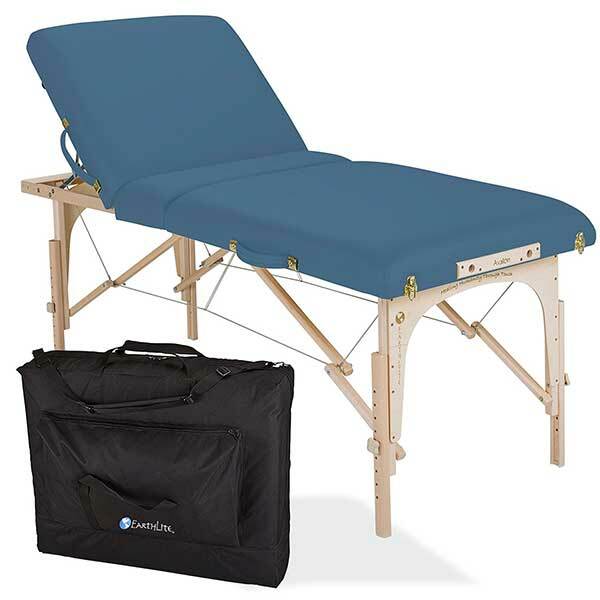 The included detachable headrest has a premium composite support that prevents bending or warping. The table also has a unique breathing hole on the table that can be used as a face rest. With that simple mechanism, the headrest can be left at home or in the carry case for a quicker setup. Table weight: over 30 lbs. Shipping weight: 36.8 lbs. 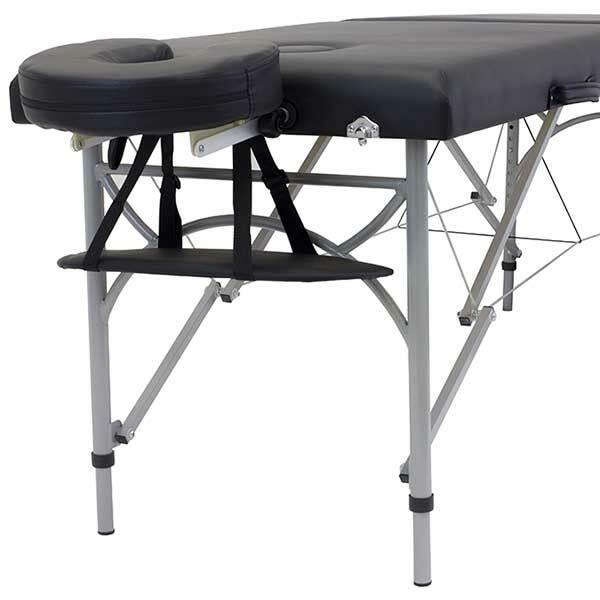 Even with competition from well-known massage table brands like BestMassage, Sierra Comfort or Earthlite, Saloniture has managed to pick up a spot. 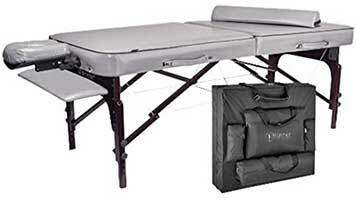 The Saloniture Professional Portable Folding Massage Table just came out this year (in 2014) and has so far received positive reviews. Since this table is relatively new, we have yet to see how durable it is. Price has been the top selling point. It’s affordable yet well made. It also includes a lot of accessories, as outlined above. 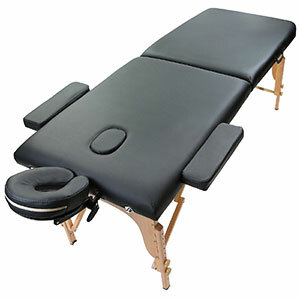 Like many massage tables in its price range, the Saloniture table also has issues with the headrest. On top of that, the creaking sound may be an issue to some. It’s stable by and large since it can hold a 350-pound person easily. The 2-inch padding may not be enough for other clients, so having some sort of extra padding handy is advisable. 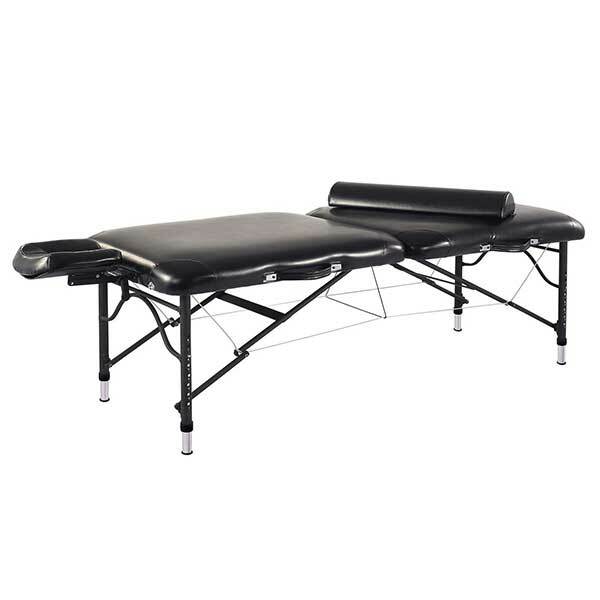 This Saloniture massage table has yet to prove itself, but it has been doing nicely at this point.